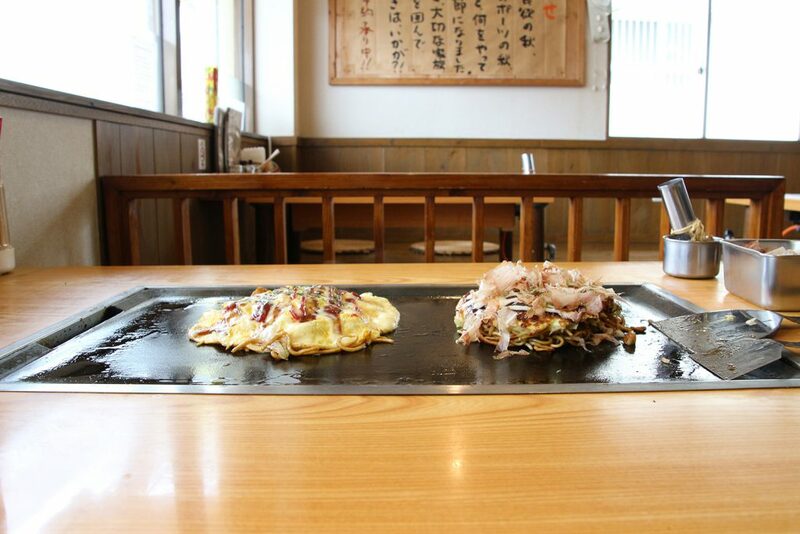 Share the post "A popular okonomiyaki shop in Okinawa, run by an Osakan owner. Umanosuke Maehara (Maehara, Ginowan City)"
Okonomiyaki speciality shop "Umanosuke" has an original arrangement to make okonomiyaki and monjayaki with a hot iron. Making okonomiyaki is fun and easy. You can either let the staff do okonomiyaki for you, or you can also make the okonomiyaki yourself using the iron pan on each table. What a unique shop sign! This okonomiyaki flavor has been continually offered for the last 30 years here at Okinawa's Umanosuke okonomiyaki restaurant. 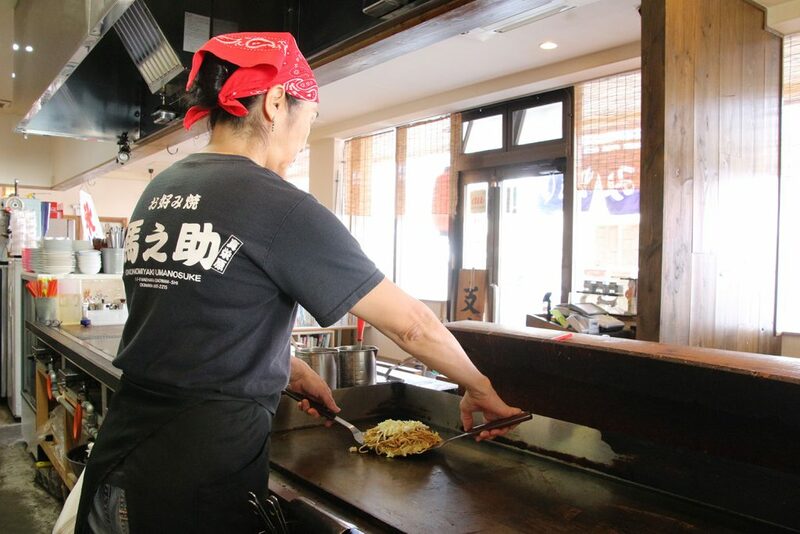 The owner from Osaka opened the Umanosuke okonomiyaki restaurant in Okinawa in 1983. It first opened in Ganeko in Ginowan City but moved to the current store in Maehara in 2012. There are also two locations in Tomigusuku which are part of the current franchise, however, there are two restaurants in Okinawa. The restaurant was introduced in a manga, and there is even an anecdote from that same manga. Inside the store and the entrance, there is a unique sign illustrated by a Japanese designer and a drawing decorated by the owner. It is a great sign you can laugh at and have fun. You should check out the T-shirts staff members are wearing. If you have a child, try our tatami mat seating! 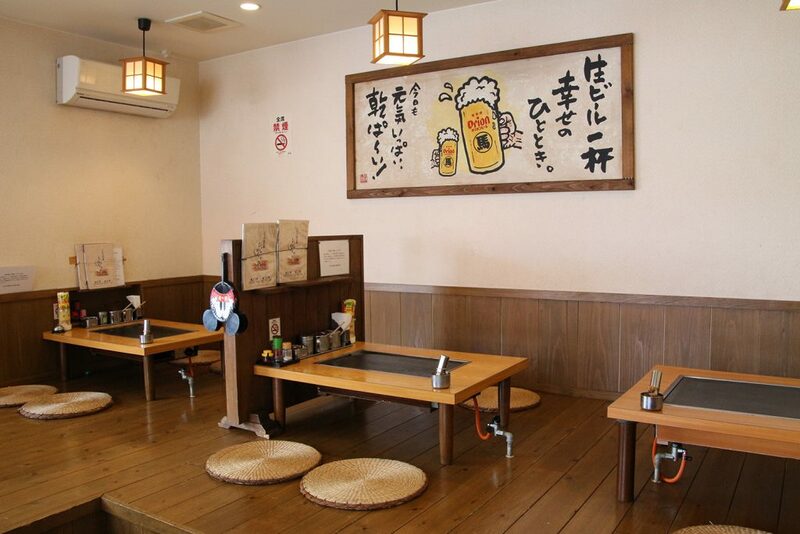 Try our 500 yen lunch or a 90 minute all-you-can-eat and drink! The okonomiyaki is not only Osaka style because of the owner. The owner also desgined the style! You can create your own okonomiyaki at your table or you can have staff members make it for you. Our staff will be happy to help you how to make your own monjayaki. 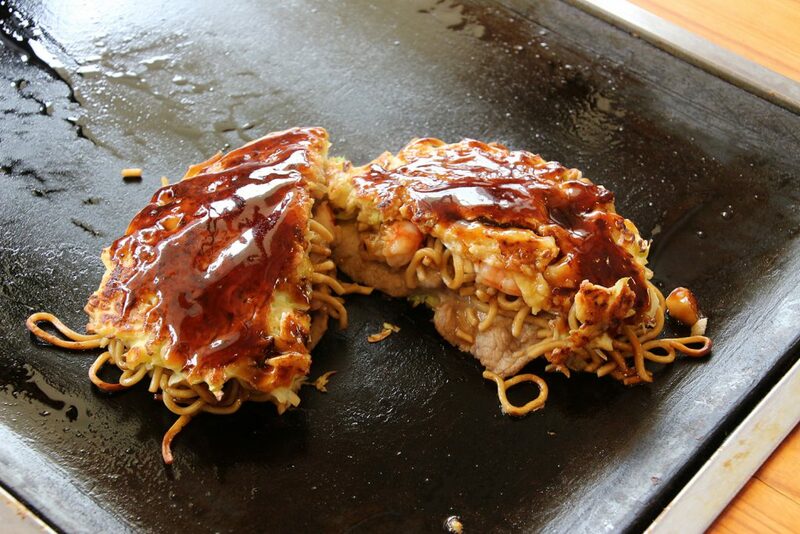 If you go for lunch, try our plate of okonomiyaki or yakisoba with a soft drink for 500 yen (excluding tax). We are open until 4:00pm. We are open during the weekday and take orders on the weekends and public holidays. We also have a 90 minute all-you-can-eat plan where you can choose between okonomiyaki, monjayaki, yakisoba, or sobameshi. If you come in before 4:00pm, the cost will be 1,300 yen (excluding tax). After 4:00pm, the price is 1,500 yen (excluding tax). There are also three types of 90 minute all-you-can-drink plans. All-you-can-drink soft drink cost 300 yen (excluding tax). All you can drink cocktails, chuuhai, and Okinawan awamori for 1,000 yen (excluding tax) but plus draft beer costs 1,500 yen. Both plans are highly recommended. Its OK to bring children to the table seating and to the tatami mat seating. 500 yen lunch set and all-you-can-eat-and-drink; why don`t you give it a try? 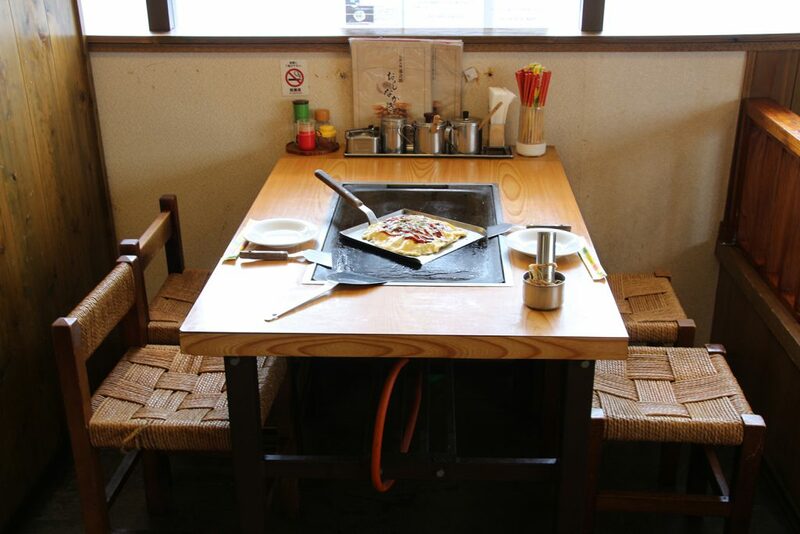 "Umanosuke Maehara", the Okinawan-style Okonomiyaki shop 가게의 인기 No.1인 오코노미야키 '믹스 야키 (800엔 세금 별도)'를 500엔(세금 별도)에 제공.